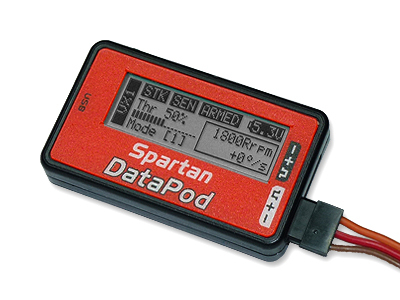 The DataPod works with the Vortex, Quark gyro, ds760 gyro and future Spartan products. To make it easy for customers to identify compatible products we have created the "Works with DataPod" logo shown below. * 20.0% VAT (sales tax) is included in displayed £ prices. Applies to EU customers only.